The business community is paying the price of outsourcing politics everywhere, and nowhere more importantly than in the faltering effort to get the escalating cost of health care under control and off their backs. It is widely known and accepted that health care in this country costs twice as much as it does anywhere else in the industrialized world. The U.S. Chamber of Commerce conned American business into making this benefit a cost of doing business in the late 1940s to protect us all from socialism. This is not the only reason we are having trouble competing in the Tom Friedman’s flat world, but it is surely not an inconsequential one. Although the insurance business has a seat at the health care payment table in other places, it is unlikely that any reforms elsewhere would revolve around not hurting the prospects of the local insurance business. 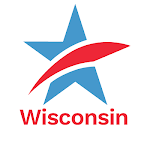 As former Wisconsin governor Pat Lucey suggested recently, “What’s wrong with simply extending the medicare system?” What would seem to be wrong with it is that the insurance business wouldn’t like it. Because of this focus on the insurance part of the health care equation, a lot of items of a lot more importance don’t make the short agenda. For example, there are reliable people telling us that our health care system is at least 30 percent inefficient, maybe 50 percent. People who track this sort of minutia say that there is no medical justification for 50 percent of the MRIs taken in this country. The contention that this can be attributed to defensive medicine, to protecting doctors against frivolous malpractice suits, is disputed by pretty solid evidence that a better explanation is that excessive MRIs are a money machine for those who invest in them. The per-capita medical costs in Miami are 10 times higher than those in La Crosse for sure and probably a lot of other places as well. The proportion of older citizens in Miami is assuredly higher, but 10 times higher? Not likely. The fact that there are so many medical facilities, places, and practitioners in Miami and other high-cost places have a lot to do with these kinds of disparities in our present system. A closer-to-home example is that health care costs in Milwaukee are significantly higher than those in Madison. Over capacity is a factor. And so is competition, which is significant in Madison unlike Milwaukee, a market where there is a dominant provider. And then there are the lobbyists. A man named Robert Kraig, who analyzes these things, estimates that the cost of lobbying on the health care legislation in Washington is running $4 million a day by the people who are protecting the present system from within. Add to this an estimated daily expenditure of more than $600,00 by the insurance industry, and you have the reason the status quo is a solid four-touchdown favorite in this country. Oh, yes, lobbying costs are part of what we pay for in this country for our health care. Feeling left out? Me too. Taking care of BusinessTweet this!